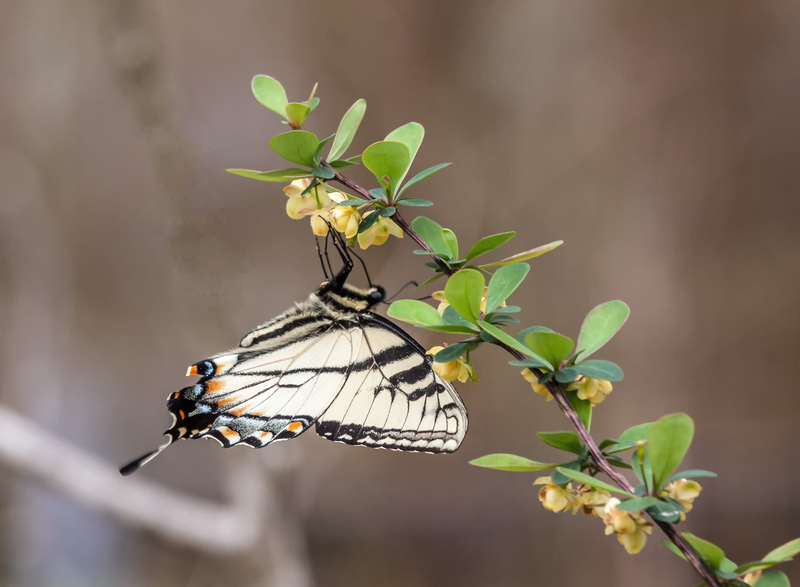 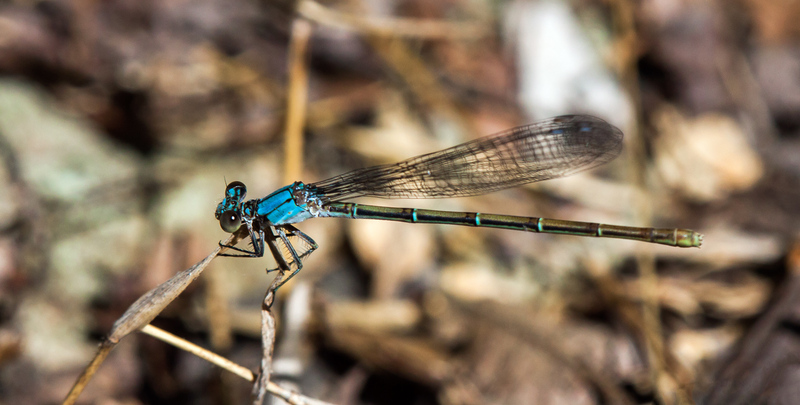 Most dragonflies have clear wings and different colors and patterns on their bodies. 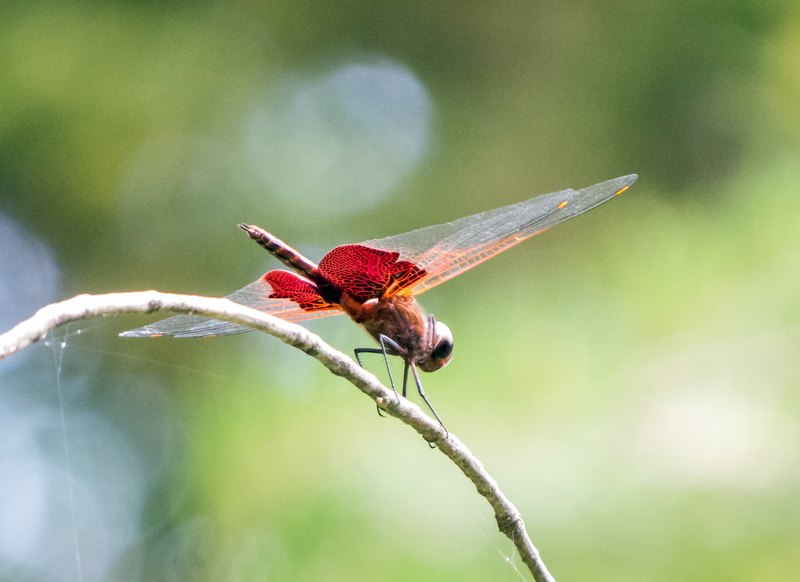 Some dragonflies, however, have patterns on their wings too that I think really accentuates their beauty and makes them particularly striking. 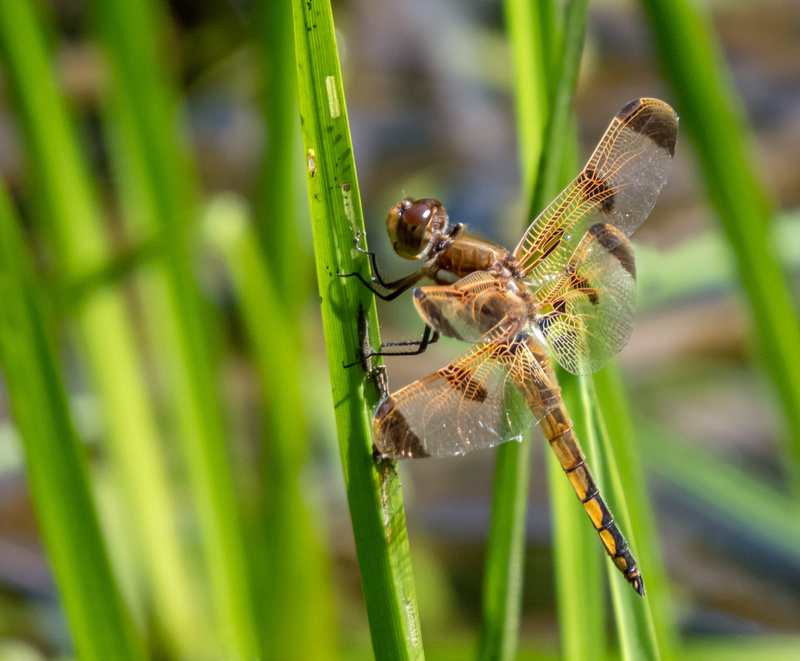 The first shot below shows a female Calico Pennant dragonfly (Celithemis elisa) that I spotted in mid-May at Occoquan Bay National Wildlife Refuge. 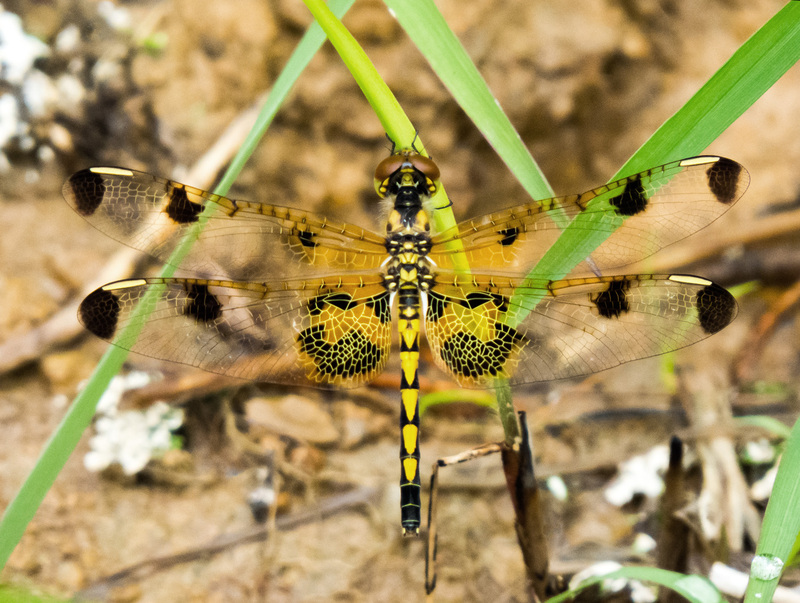 The second shot shows a male Painted Skimmer dragonfly (Libellula semifasciata) that I spotted in late May at a small pond in Prince William County in Northern Virginia.